Cindy discovered yoga in 2010 during a corporate layoff that left her pondering her self- identity after 20+ year career in the retail fashion world. “I looked in the mirror one day at did not recognize the person staring back at me.” She started doing yoga to re-establish a physical connection to her body (lose weight) and recognized the immense value of her practice to her emotional and spiritual self. Yoga became her “sanity”. Cindy has been teaching group classes and private sessions throughout Seattle, Washington since 2015. She is currently studying with 8 Limbs Yoga to receive her 500 RYT certification and it’s national host of teachers to learn more about her own practice and be able to share advanced knowledge of yoga with her students. Her Hatha and Yin inspired style combines a deep love and appreciation for the body; how it moves, its ability to feel sensations and internalize the world around it. In her classes, students learn to listen to their own bodies with awareness and non-judgment, embracing what it is teaching them. 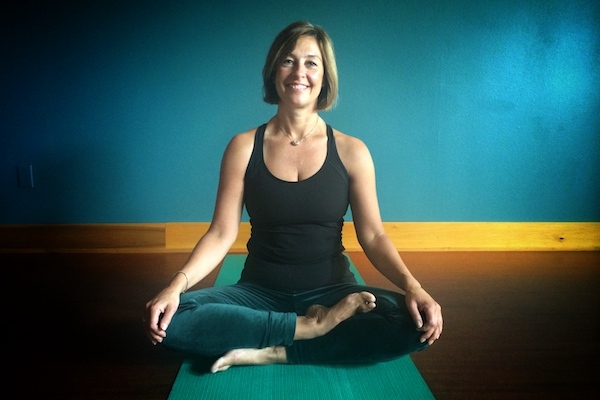 Cindy appreciates what each individual body and spirit brings to the class and enjoys creating a safe and strong, yet self-nurturing practice specifically suited for her students and their ever-changing needs.